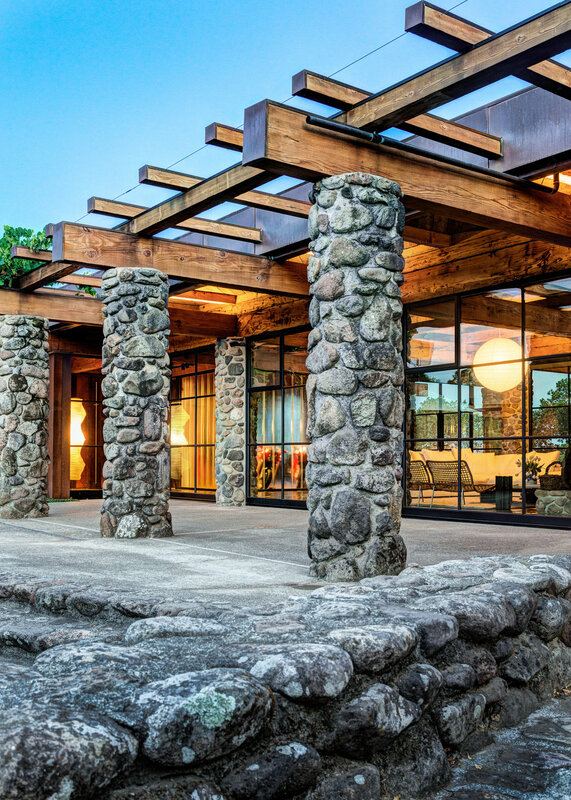 This stunning house is situated on top of a hill, with 360 views all around. 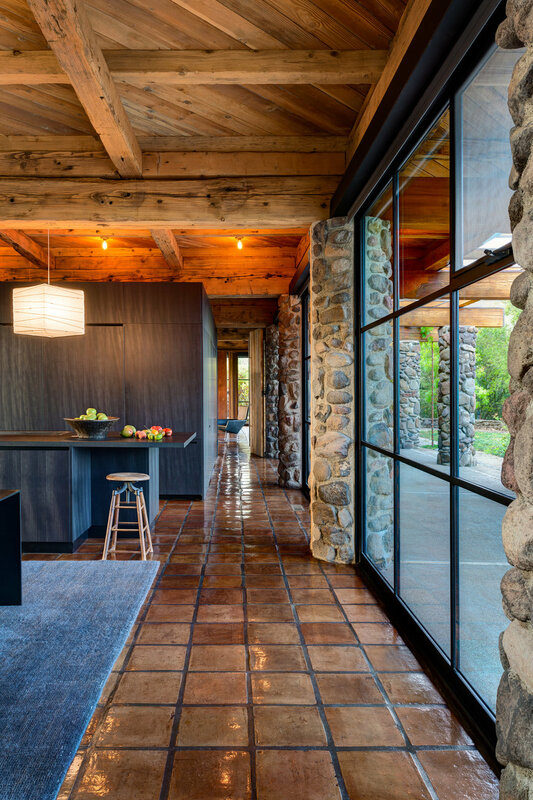 The renovation involved removing older parts of the house, leaving only the stone columns, terracotta floors, and wood ceilings and beams in some parts. In contrast with these heavy and textured elements, smooth surfaces such as steel and glass were introduced. 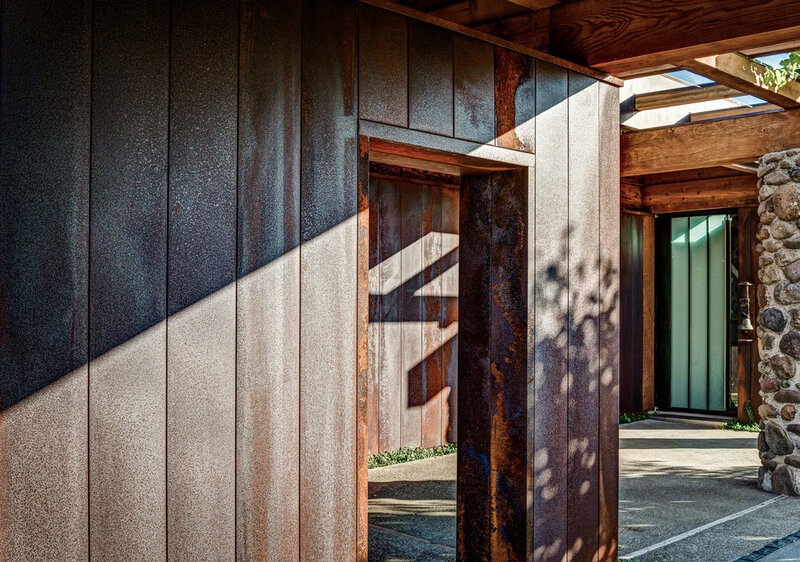 Cor-ten steel is a new prominent material that appropriately blends in with the look and feel of the original elements, as it ages into the structure. Living Room with Channel Glass "Jewel Box"